Out of things to read this weekend? Well, here's what we'll be reading. Maybe you'd fancy some of it too? After what felt like the longest winter ever, spring seems to have finally come round and shown its sunny face. But that’s no reason to stop reading and expanding your horizons! Grab an iced coffee, get comfy somewhere in the sun, and dive into our selection of things from design and work organization to coding. 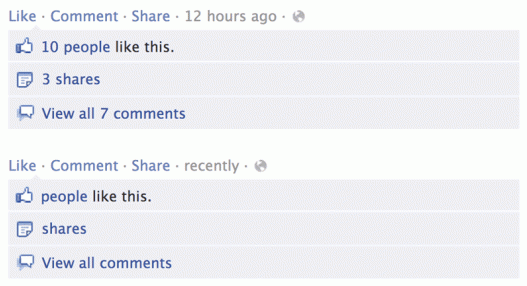 What if numbers disappeared from Facebook? Facebook is full of numbers. Your activity, online social life, and friendships are constantly being measured by its metrics. Benjamin Grosser’s Demetricator is a web browser addon that hides all of those metrics. Your focus can finally shift from how many friends you have and how much they like what you’re sharing to who your friends are and what they say about the things you share. Explore how your experience of social media changes if numbers are taken out of the equation. Timezones can be confusing, right? Not anymore! Working with people across the globe, forever confused about timezones and trying hard to work out who’s sleeping when? Then make sure to give There a whirl – it might well be your solution for all things timezones concerned! 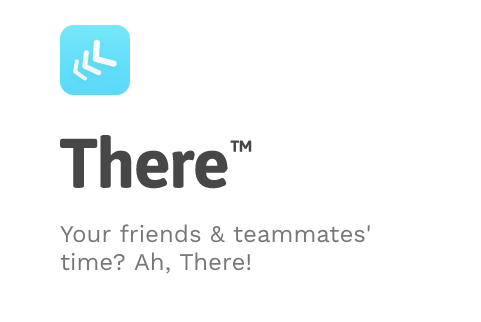 It can help you keep track of your colleagues’ timezones; no matter where everyone is. Plus There is still in the works, so expect big things coming your way soon! The place to be for front end designers and devs! 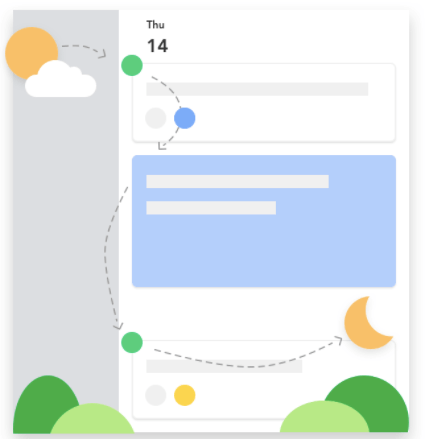 If you’ve been looking for a way of streamlining and simplifying your work but bringing all your colleagues’ calendars, meetings and projects into one place, Sunsama could be the answer. It’s designed to help individuals, dev teams, project managers, as well as remote teams to keep things efficient, which is always right up our street. We’ll definitely be trying this one out! More ambient noise for everyone! In the previous issue of our Bits for the Weekend, we mentioned asoftmurmur.com. We’ve since then been directed towards a few more cool things that can do something similar, with different twists. Defonic lets you create custom mixes of ambient sounds so that your background noise fits your current mood and helps you get into the right headspace for your tasks. And if you’re one of those people who – like many of us here at Sleighdogs – find the sound of rain to be the most amazing, calming thing ever, Rainbowhunt is the one for you. A great one if the sound of a light summer rain is your favorite lullaby. Read the Stack Overflow Developer Survey Results 2018 yet? The Stack Overflow Developer Survey Results 2018 are in! Read about how more than 100.000 devs learn and shape their careers, what tools they use, and what they’re hoping to get out of their jobs. This year, the most prominent takeaways are those relating to the importance of DevOps and machine learning, the issue of unethical code, the prospects of AI, the popularity trends of Python, and also what comes into play when devs are assessing a prospective new job. Highlight on the go and never forget a thing! The Internet is so full of new information and new bits to remember, that taking it all in can become a real challenge. 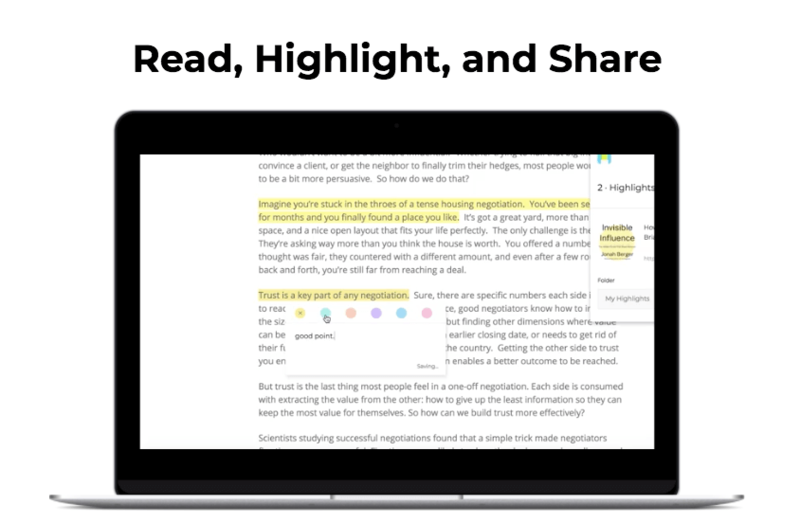 Liner is a web highlighter that can help you collect ideas, communicate your thoughts better within a context, and centralize your reading. It syncs across mobile and desktop, so your important lines to remember are always within reach. You’ve probably found yourself in a situation where, as a developer, you needed to make design decisions. You maybe thought you can’t, because you’re not a designer. Well, it turns out that, quite often, you can. Here are seven practical tips for cheating at design, even for non-designers. Got any of your own? Do share! We hope you’ve enjoyed our little listicle of things to read this weekend. If you’d like to see more or less of something, please let us know. And, as per usual, tweet us about all the things you found interesting this week, ok? Liked our Bits for the Weekend? Then feel free to help us spread the word by sharing this post!